What’s a Lettering Crawl? Swing through three stops filled with activities to get your creative juices flowin’, grab some special swag, plus enjoy beverages and light snacks. Get weird with Jolby & Friends at a Doodle Night in their rad space, peek into the notebook-making process at Scout Books (and stamp a few for the road! 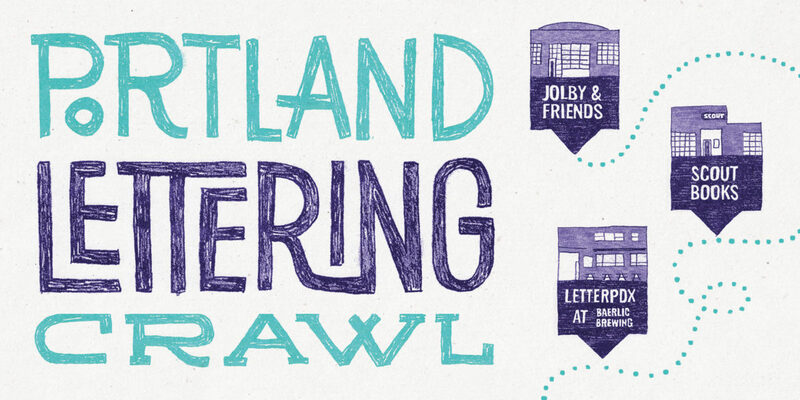 ), then grab a pint and start doodling with LetterPDX at Baerlic Brewing. All stops will be open between 5:00 pm and 8:00 pm, and you can choose your own route! Scout Books will be hosting tours at 6:00 pm and 7:00 pm. See ya there! Join the entertaining Paul Shaw for one of two leisurely walks through parts of Portland. The Thursday lettering walk will be a near reprise of the one led by Shaw during TypeCon2013. It will go from downtown Portland to the Skidmore, Old Town, and Pearl District neighborhoods. There will be ghost signs, old neon signs, late 19th century “Artistic Lettering”, revived classical Roman capitals, Art Deco and interwar sans serifs, and more. 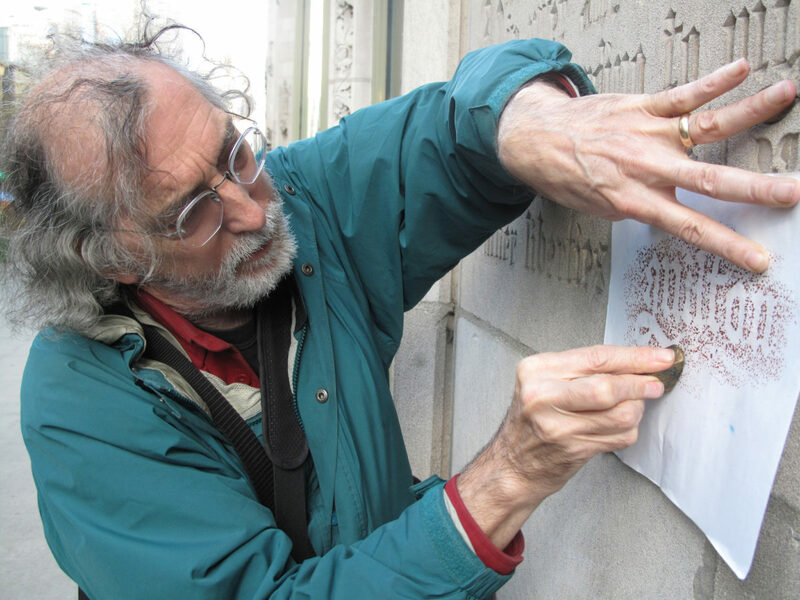 Paul Shaw has been conducting urban lettering walks since 2005 across the United States and in Canada. He does two walks per year in New York City for the Type Directors Club and has been leading walks for TypeCon for 13 years, including such cities as Atlanta, Boston, Buffalo, Denver, Los Angeles, Portland, and Seattle. Can’t make this walk? There’s another one scheduled for Sunday. 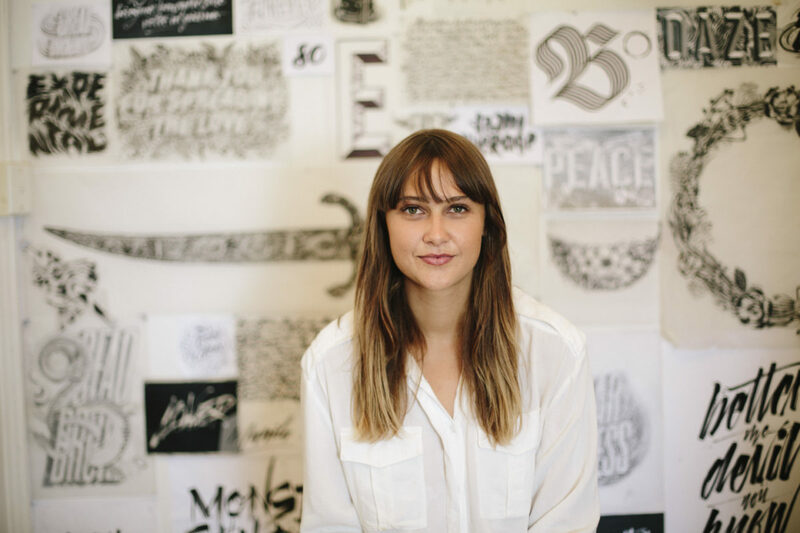 An entertaining evening with talented Australian lettering artist and illustrator, Gemma O’Brien. Reception to follow. You’re invited to The Afterparty at Outlet. Get to know some of Portland’s creative community, have some drinks, good times, and enjoy a beautiful summer night on the east side. Let’s hang! 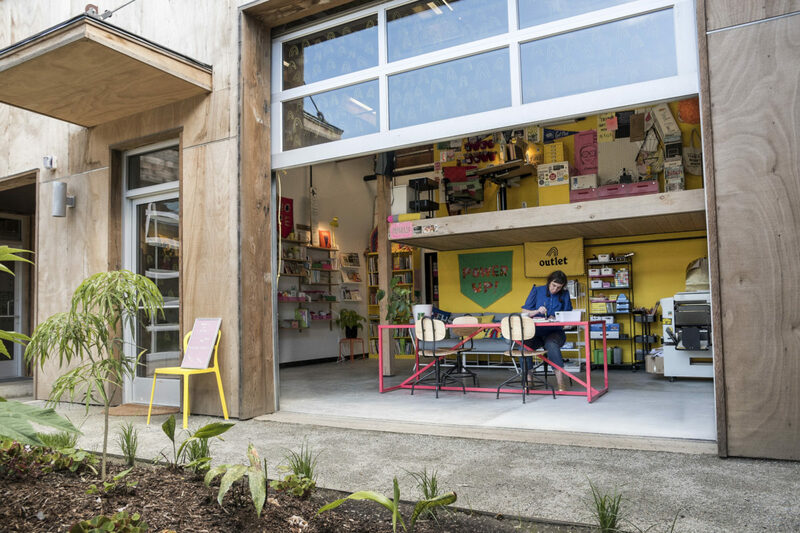 Outlet is part illustration studio of Kate Bingaman-Burt, part awesome courtyard, part zine-library, and part Risograph printing studio. Portland’s historic neon gems are glowing typographic treats, steeped in architectural significance and a playful, pioneering spirit. Stretch your legs and walk with your hosts — Kate Widdows, Randall Ann Homan, and Al Barna — into the city’s magical nightscape, learn some local history, and see some awesome graphic design and lettering in the form of colorful, gas-filled glass tubes. Photography and lively Q & A are encouraged. Be prepared to walk 2 miles for approximately 1.5 hours, with a mid-tour rest stop. The tour starts just before twilight, rain or shine, as neon looks great on a rainy night. 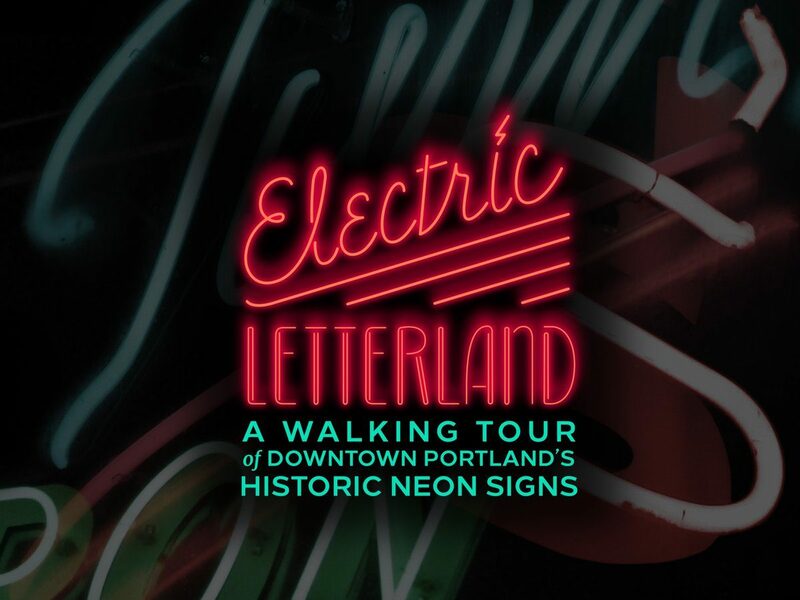 All participants will receive a printed Neon Map of Portland, a self-guided tour of the city’s neon treasures beyond the downtown core. Our third annual Friday night mixer is best described as … a game, wrapped in a conversation, finished with a selfie. 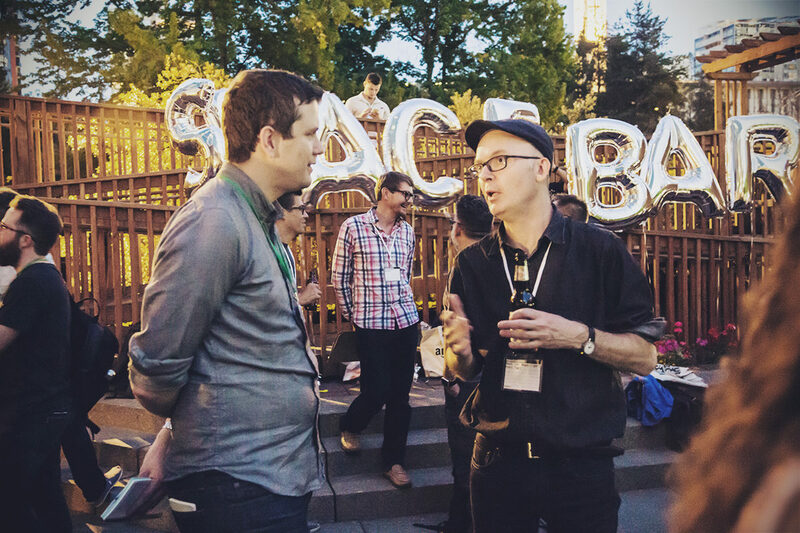 Suffice it to say that you’ll have every reason to meet some people you’ve always wanted to, make some friends you never expected to, and connect with people in our industry — all in a casual setting. 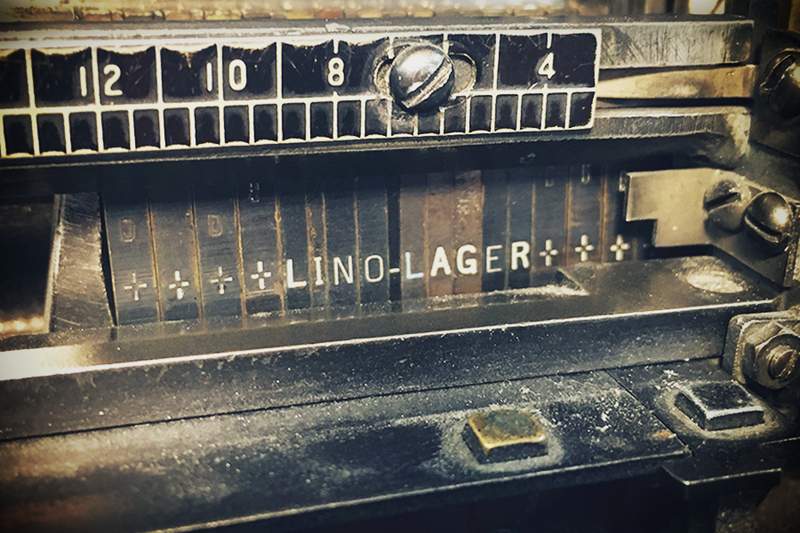 In honor of the Linotype machine, commercial print, and a job well done, enjoy a taste of “Lino-Lager” — a limited bottling of Royale Brewing’s most popular brew. This special release will be adorned with labels composed in-house at Stumptown Printers on their 1946 Linotype Model 31. Hang out and chat in this classic commercial print shop while the sun sets over the Fremont Bridge. The Linotype machine will be up and running and we’ll be casting Caledonia for a new C.C. Stern Type Foundry publication. Demos will be going on until the operator has consumed too much of the evening’s featured beverage. There will also be a small supply “Lino-Lager” bottles available for purchase. Come raise a glass to Ottmar Mergenthaler, his amazing machine, and hot metal type composition! The Museum of Metal Typography is a working museum run by the nonprofit C.C. Stern Type Foundry. One of the only metal type foundries between San Francisco and Vancouver, BC, the C.C. 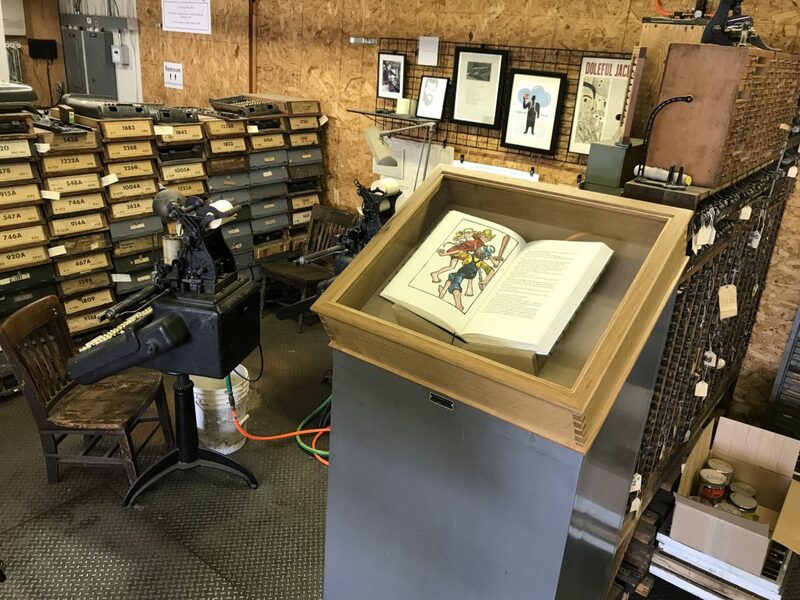 Stern Type Foundry provides educational programming; a collection of books, manuals, and printed ephemera; and live demonstrations of the foundry equipment and type casting processes. See the casters in action, as well as hand casting demonstrations. Volunteers will be on hand to give tours and talk about the art and industry of making metal type. Souvenir metal type, printed ephemera, DVDs and other printing related items will be available for sale. We will also be debuting an exhibit of Jim Rimmer’s limited edition book The Adventures of Tom Sawyer, set in Hannibal Old Style, a typeface designed and cast by Rimmer. Food! Frivolity! Fonts! 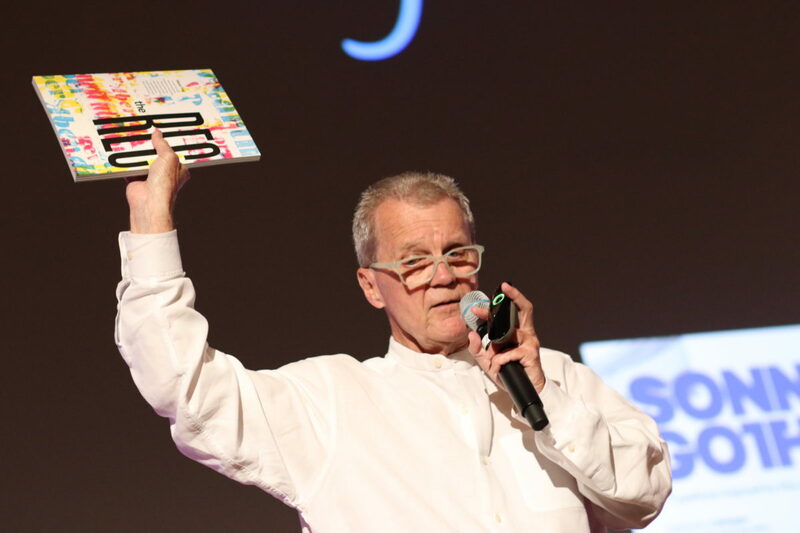 Join us for an incredible evening celebrating TypeCon’s 20th anniversary. It’s the first ever TypeCon Font Family Feud hosted by the convivial Allan Haley and Rachel Elnar. Sit back and enjoy this lighthearted typographic game show or sign up and join a team to compete for some spectacular prizes. In addition to Font Family Feud, join us for the SOTA Typography Award ceremony, grab a snapshot with your type idol in the Extensis photo booth, partake in the open bar, and dive into a selection of yummy desserts! And don’t forget to drink early and bid often during the annual SOTA Silent Auction, featuring everything from rare type ephemera to hand printed posters to choice typographic tchotchkes. Cocktail attire is recommended, but certainly not required. Join the entertaining Paul Shaw for one of two leisurely walks through parts of Portland. This lettering walk will overlap a small portion of Thursday’s walk but will be primarily focused on downtown as bounded by Portland State University to the south, I-405 to the west, Burnside Street to the north and the Willamette River to the west. There will be some neon, much revived Roman capitals, some terracotta, a little Art Deco, some mosaic tile lettering, and other surprises. Can’t make this walk? There’s another one scheduled for Thursday. The always popular Type Crit is back, celebrating its seventeenth year of laying down the typographic smack. The masters of typographic analysis and elucidation Matthew Carter, John Downer and Jill Pichotta will provide gentle, constructive criticism to designers who submit their individual type designs for review. Interested in participating? Please review the guidelines. A sign-up sheet will be available in the SOTA Marketplace beginning Saturday morning. WeMake is a non-profit organization that helps foster art and design in Portland through hands-on experiences, creative dialogue, and design-in-action initiatives. Join us for an evening of type, talk, and tacos at Tillamook Station, WeMake’s amazing headquarters and event space.